The Great Pumpkin Cheese Ball has real pumpkin! With only a few ingredients, it’s easy to whip up this seasonal appetizer. Make ahead too! 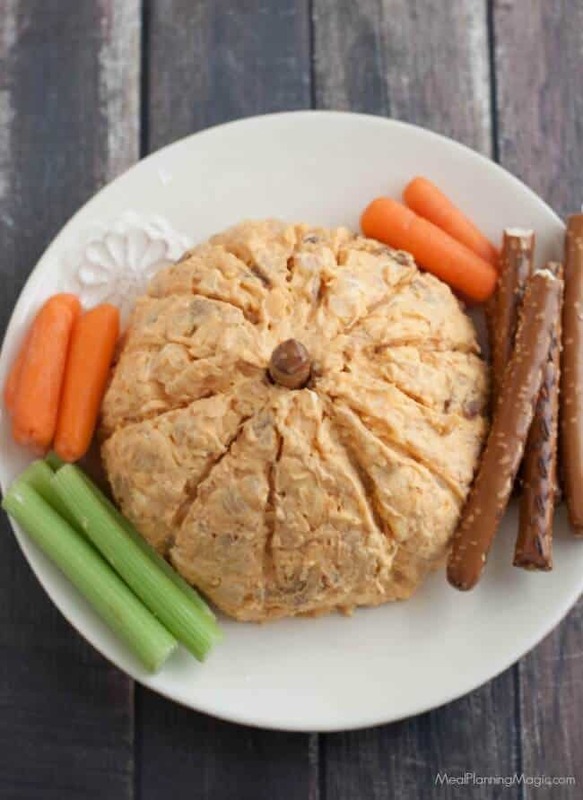 Click here to PIN this Great Pumpkin Cheese Ball to Pinterest. Here’s a little known secret about me….I love to make seasonal foods especially those like these that are shaped into a familiar shape of the season! 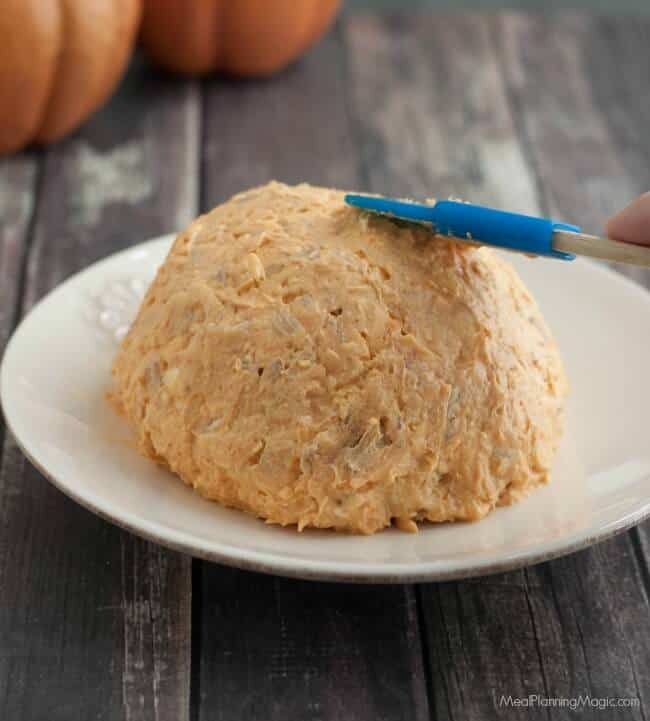 Years ago when I originally posted The Great Pumpkin Cheese Ball recipe back in 2011, it was part of challenge to post something pumpkin shaped. To be honest, I’m not even really sure where the original recipe came from but I do remember finding a cheese ball that I could easily mold into a pumpkin shape. Some of the blogs I originally linked to are long gone so I thought it was time to update this post with new images and content. 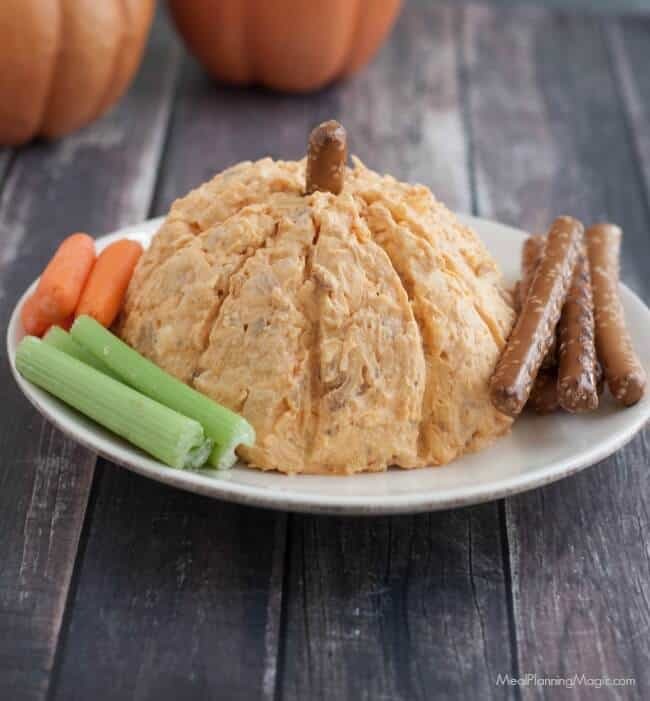 I call it The Great Pumpkin Cheese Ball after Charlie Brown’s Great Pumpkin. 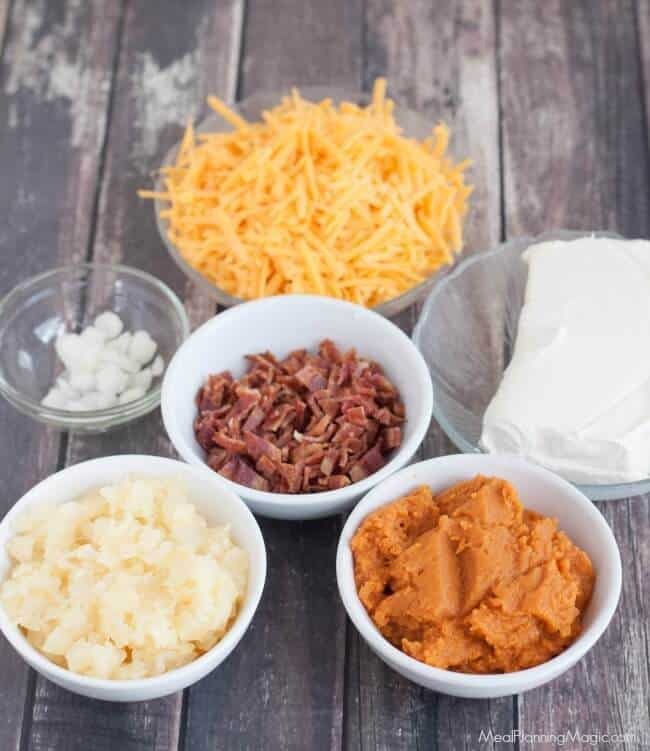 With only six ingredients, it’s super easy to whip up easily and bring to share any time this fall or at your fall holiday gatherings. Because it needs to chill for at least an hour so the flavors can blend together, it’s also make ahead! I like that it includes real (canned) pumpkin because that boosts the nutrition content with all those antioxidants and vitamins and minerals like potassium, beta-carotene and vitamin A. I also use the lower fat Neufchatel cream cheese which has one-third less fat than regular cream cheese. 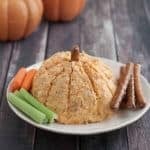 When you serve this Great Pumpkin Cheeseball with pretzels or vegetables, it’s a nice option for a healthier holiday appetizer. We like the pretzel rods broken into pieces but the pretzel squares (called ‘snaps’ by one brand) or the more traditional mini-pretzel shape work too. You could also use any kind of cracker too. I love all things pumpkin and have collected a ton of ideas on my Pumpkin-palooza Pinterest board. If you love pumpkin too be sure to check out my Pumpkin Pie Dessert Squares or Pumpkin Waffles. 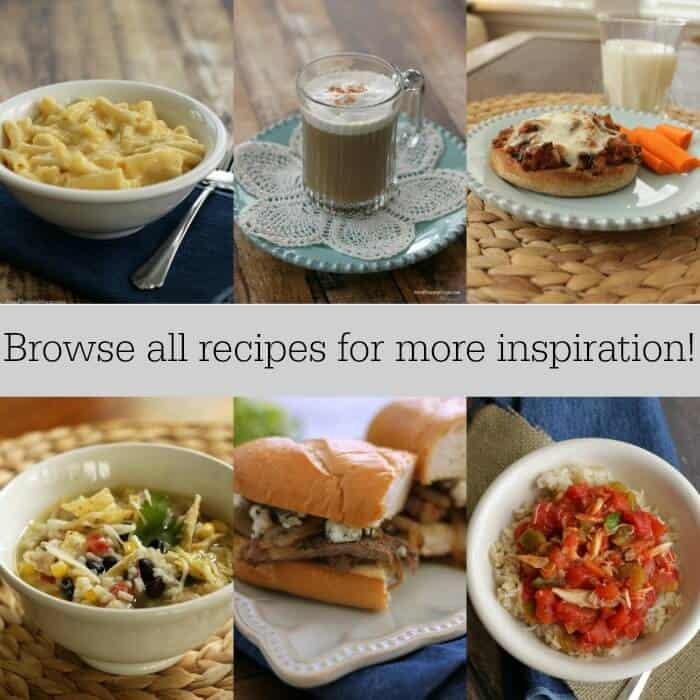 They’re a great way to enjoy the flavors of the season! 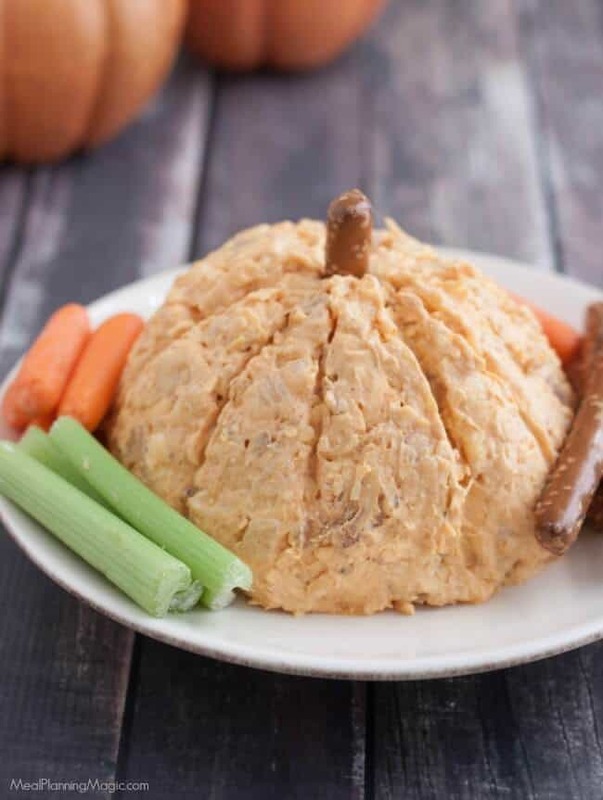 I hope you’ll give this Great Pumpkin Cheese Ball a try– and let me know what you think! 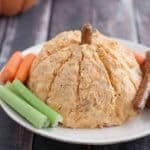 The Great Pumpkin Cheese Ball has real pumpkin! With only a few ingredients, it's easy to whip up this seasonal appetizer. Make ahead too! In a mixing bowl, beat cream cheese, pumpkin and pineapple. Stir in cheddar cheese, beef and onion. Shape into a ball; place on a serving platter. Score sides with a knife to resemble a pumpkin and add celery leaves for a stem. Serve with crackers and/or vegetables. 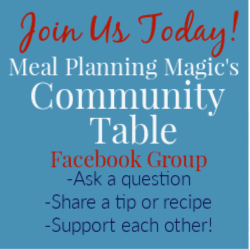 « Join the Holiday Meal Planning Challenge!